Tree lighting November 19th, 1-5 pm! Meet Santa & his reindeer! 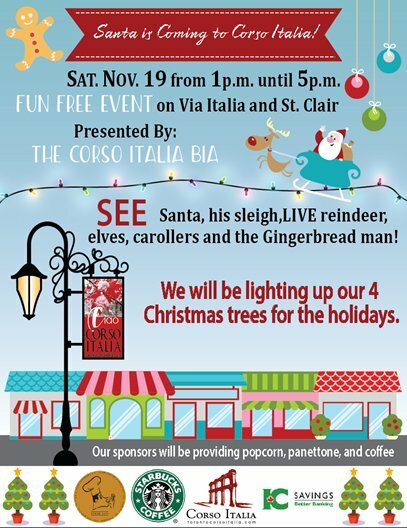 Please join us in our new neighbourhood for the official lighting of Corso Italia's 4 Christmas trees on Saturday November 19th! Evymama will of course have something special on offer too- stay tuned!